For the last several months, the Internet has been curious and fascinated by 9-year-old social media star, Lil Tay. Her Instagram, which features the child in expensive cars and houses cursing and screaming about how much more money she has than everyone else, has over 2 million followers. LIL TAY AINT GOT NO LICENSE AN AINT GON GET NO LICENSE ⭐️??? Now, the 9-year-old has earned herself endorsement deals from companies and booked a ton of PR gigs and interviews–because, in the social media world, 2 million followers mean you have enough of a following to make companies a ton of money. Many, however, have been curious where Lil Tays parents are–why aren’t they concerned that their 9-year-old daughter is cursing and using racist terms of social media? Why are they letting her hang out with rappers carrying guns and doing drugs are parties? Who is filming her? Who is telling her what to do and what to say? 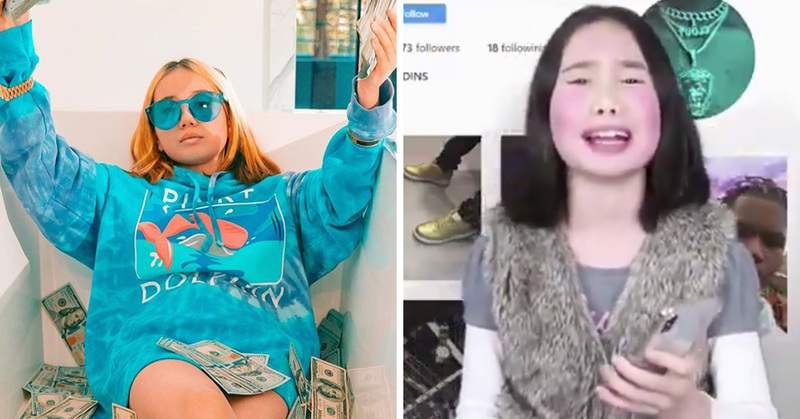 According to Lil Tay’s mother, Angela Tian, her 16-year-old brother, Jason Tian, is the mastermind behind her social media presence and personality. Her mother is a single parent and was recently let go from her job at a real estate firm after her boss found out Lil Tay had used his car in a video without his permission. Now, the family relies on Lil Tay to bring in the money. New videos have leaked from “behind-the-scenes” where you can hear Jason “coaching” his baby sister on “what to say” and how to act in the videos she posts online. Clearly, this 9-year-old is being exploited by her mother and brother to bring home money while her mother is out of work. While only a child, she’s been receiving immense backlash from her videos–including a ton of cyberbullying–and she’s even posted videos in tears asking people to please stop. Now, Twitter users–who once hated on her and attacked her for her inappropriate videos and words–feel sorry for her and want to see her get help or be taken away from the family who is using her for views and money. 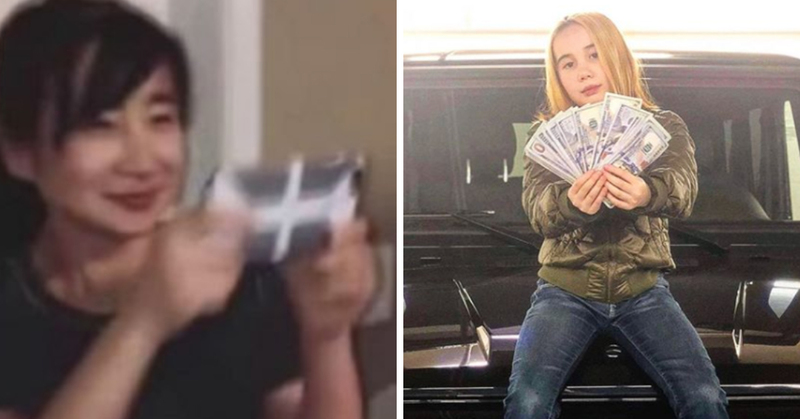 Lil Tay, is your brother over 18 so I can beat him up? Asking for a few million people that feel bad your childhood is being stolen from you. sigh… lil tay’s family are using her for views and manipulating her…. i feel bad for HER not her family!!! Man who else feel bad for lil tay being exploited like that? Poor girl looks so sad when ol boy is telling her what to do in them vids. She don't know any better. I feel really bad for Lil Tay. She's being exploited by her mom and brother, and being taught terrible things at such a young age. The videos that have been leaked are sickening, and she looks visibly upset in all of them. She doesn't deserve the hate, its not her fault. People online are even signing a petition to have her YouTube and Instagram pages taken down. Recently, she was interviewed on Good Morning America with her mother and she claimed that no one is “forcing her” to do anything–and she does it just to be funny. In fact, she happens to be a “straight A student” (although she’s now homeschooled), and partakes in many activities other 9-years-olds do, like swimming and piano. And, still, people are convinced the 9-year-old is “not old enough” to make these decisions on her own, and believe CPS should be called on both the mother and her brother.